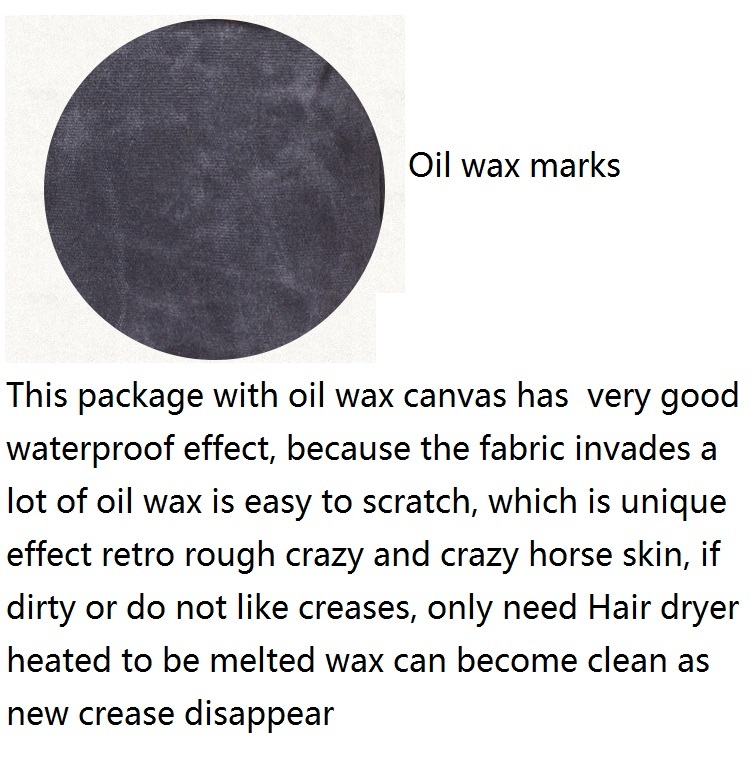 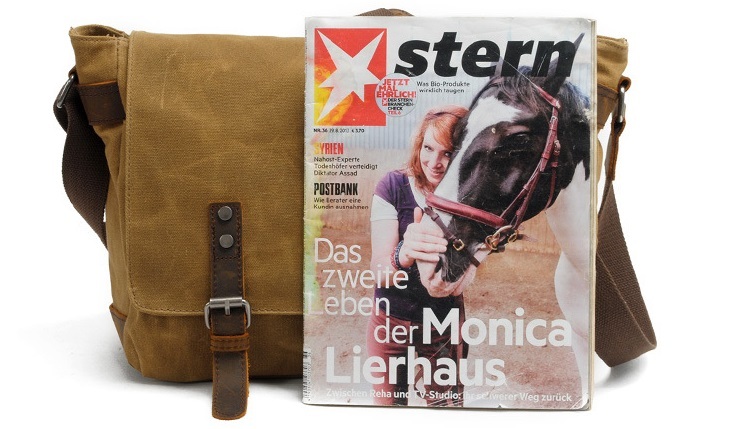 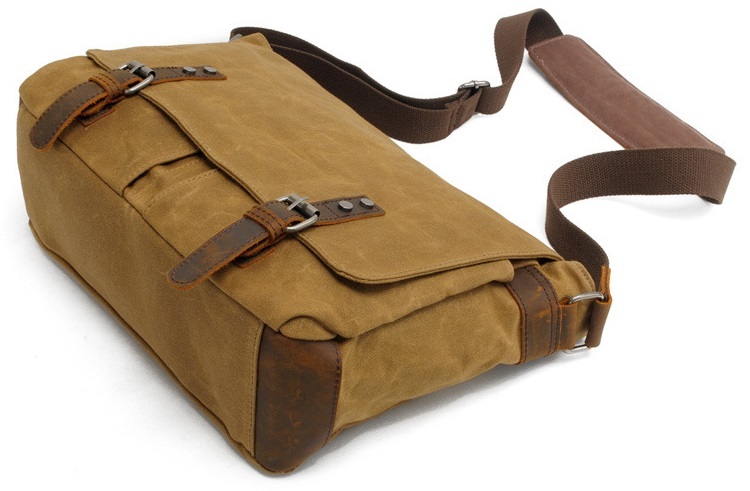 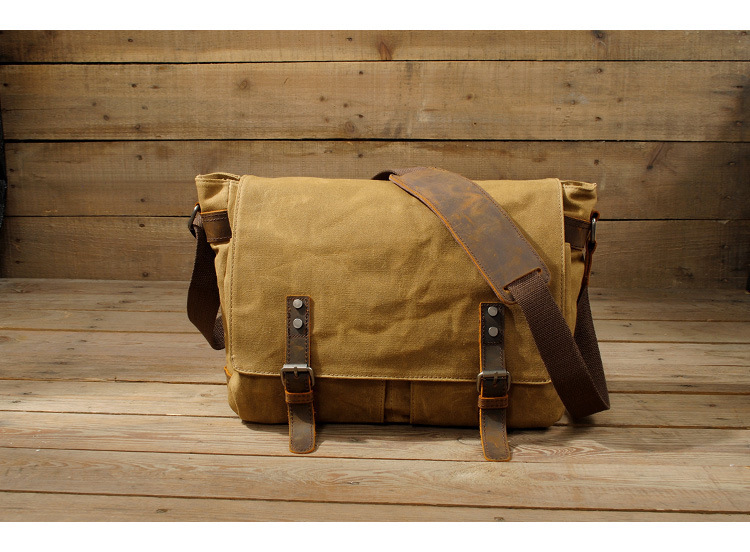 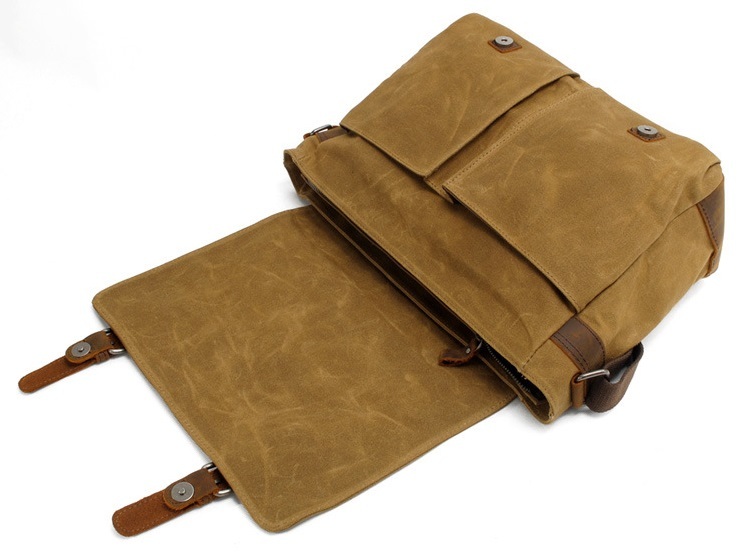 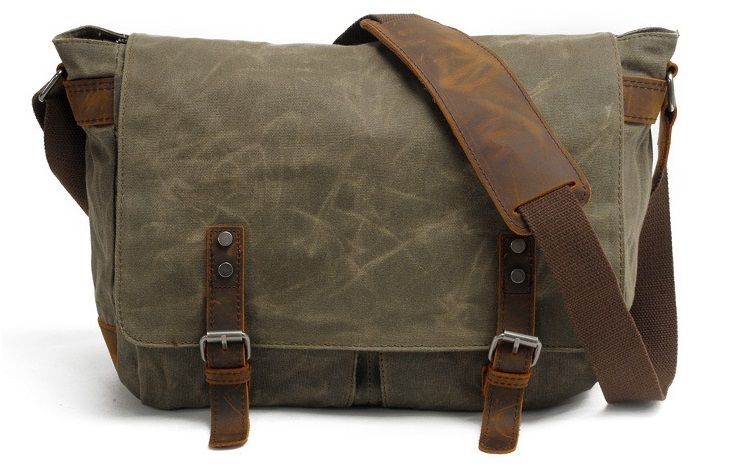 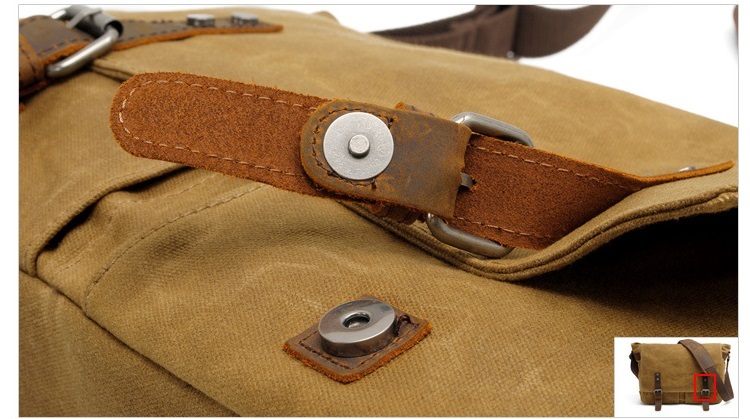 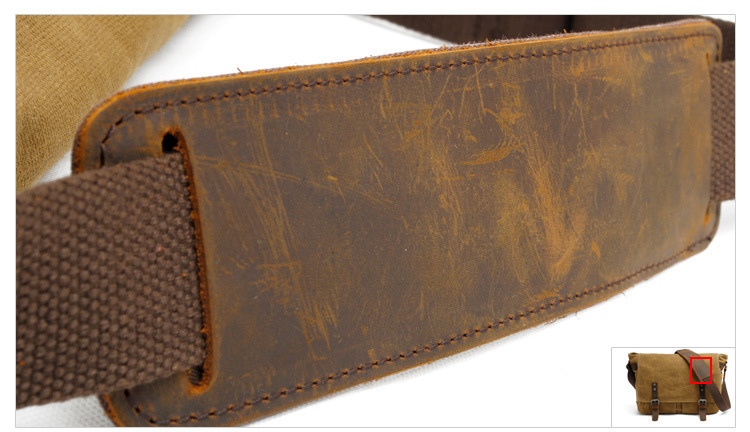 HIGH QUALITY MATERIAL:Waterproof Canvas Men's Vintage Genuine Leather Laptop Messenger Bags. 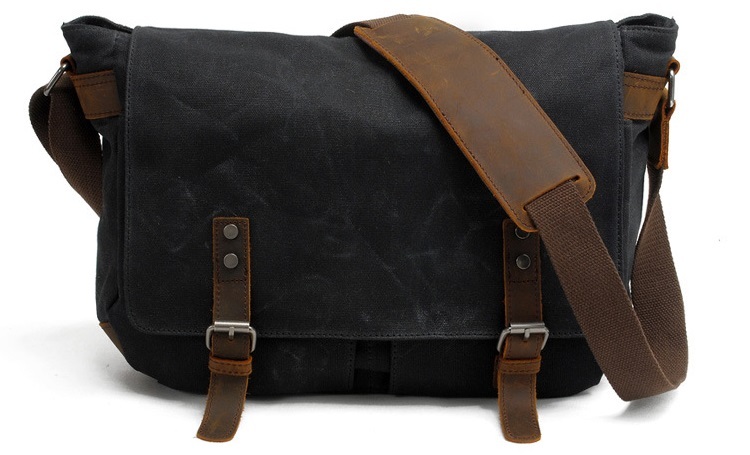 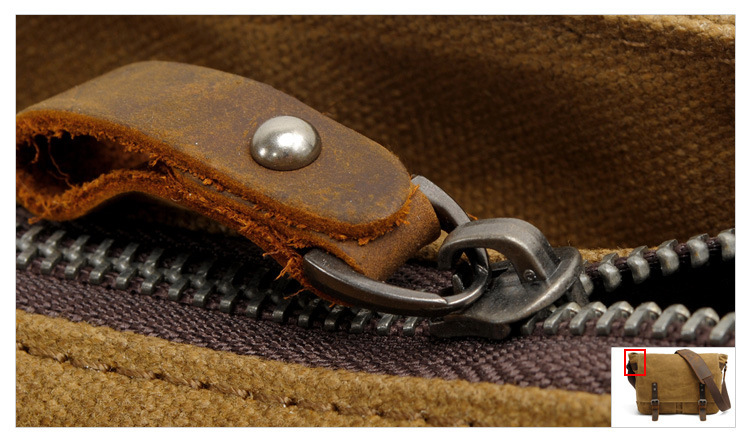 original wax canvas + superior cowhide leather+bronze hardware. 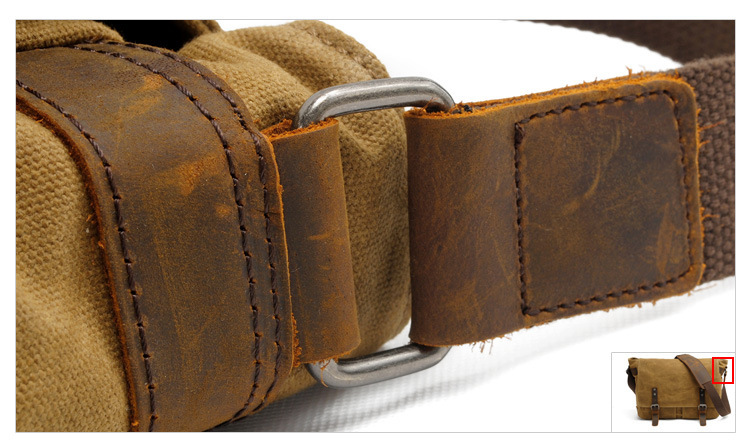 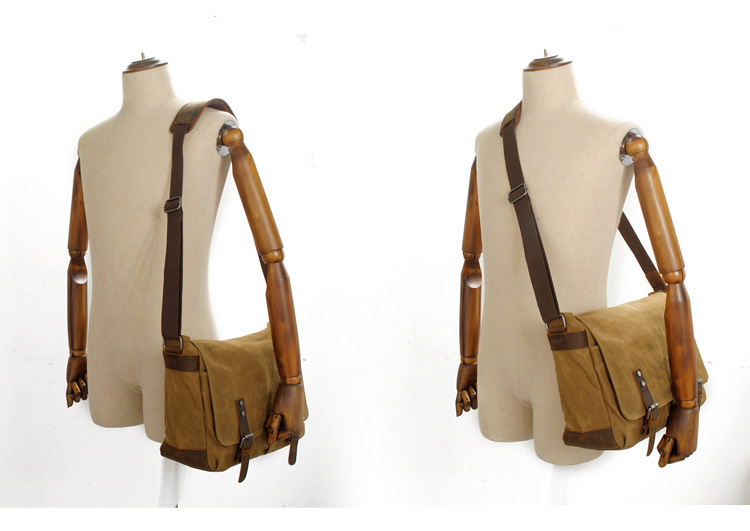 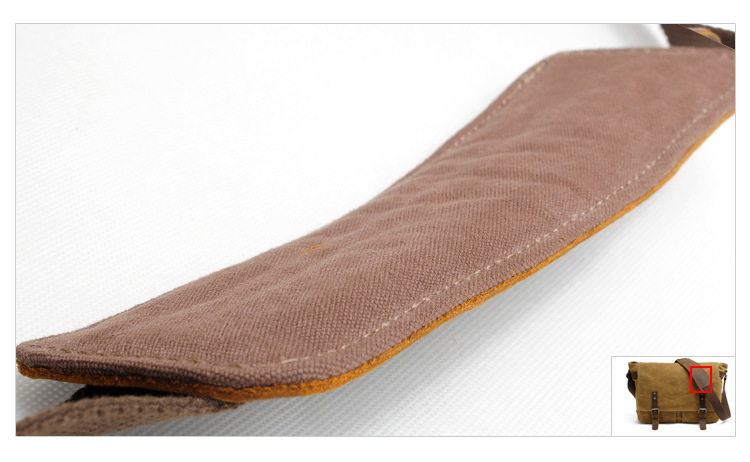 Durable Leather top handle and adjustable shoulder strap. 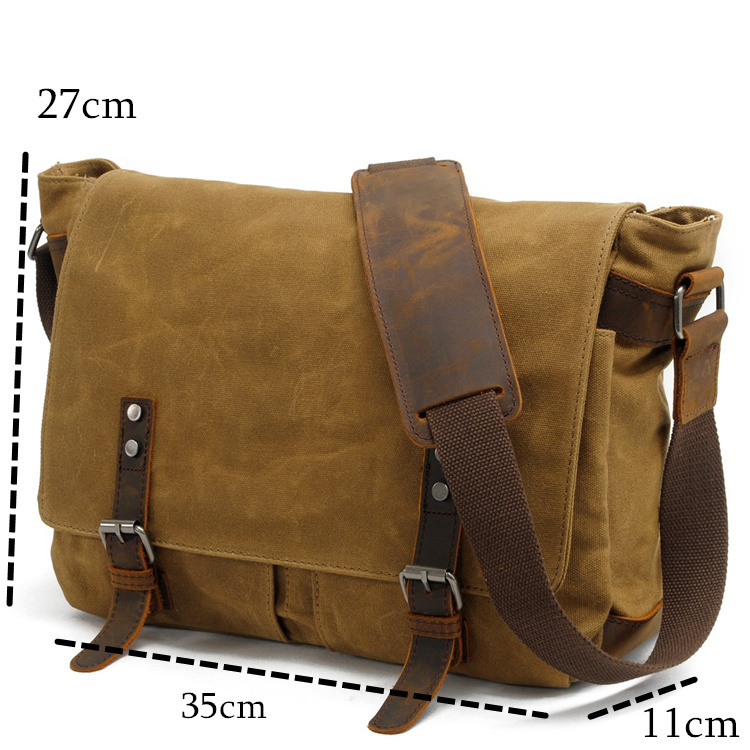 SIZE : 35cm(L)x27cm(H)x11cm(W)/13.7"(L)x10.8"(H)x4.2"(W). 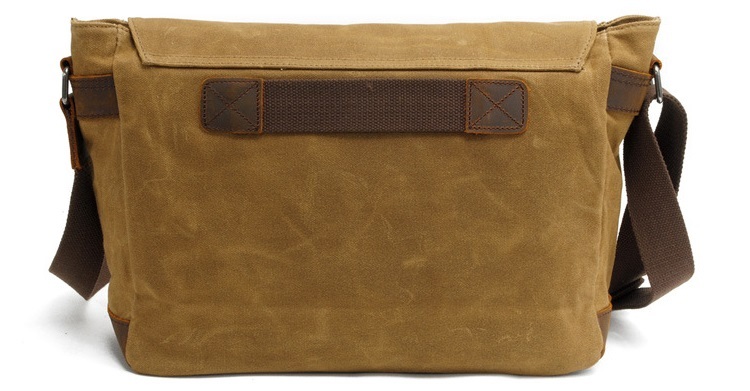 Perfect size easy to carry 13.3" MacBook Pro / Air, 14-inch laptops , A4 file, iPad, kindle, cellphone, wallet, books and other small stuffs. 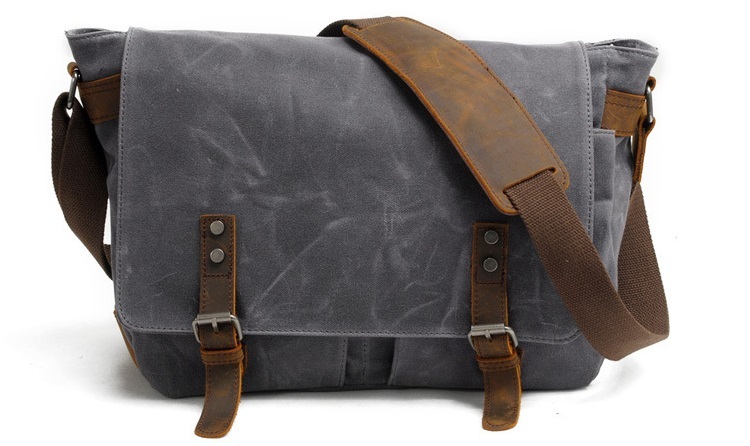 Usage: commute, weekend, field, travel, school or everyday use. 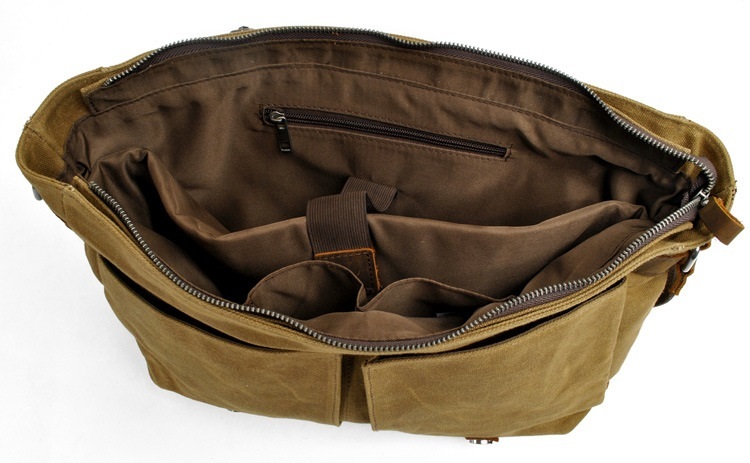 ORGANIZATIONï¼?1 x main compartment, 1 x padded laptop sleeve, 2 x inner slip pocket, 1 x inner zip pocket, 2 x pen holder, 2 x front slip pocket .